The magnificent Focus Power 50 is truly worthy of its flagship status in the range. Its superior design, ultimate comfort and incredible spaciousness epitomise the Focus Power lifestyle. Dynamic good looks with sleek curved lines combined with magnificent functionality take the already well-developed and highly successful Focus Power philosophy to the next level. 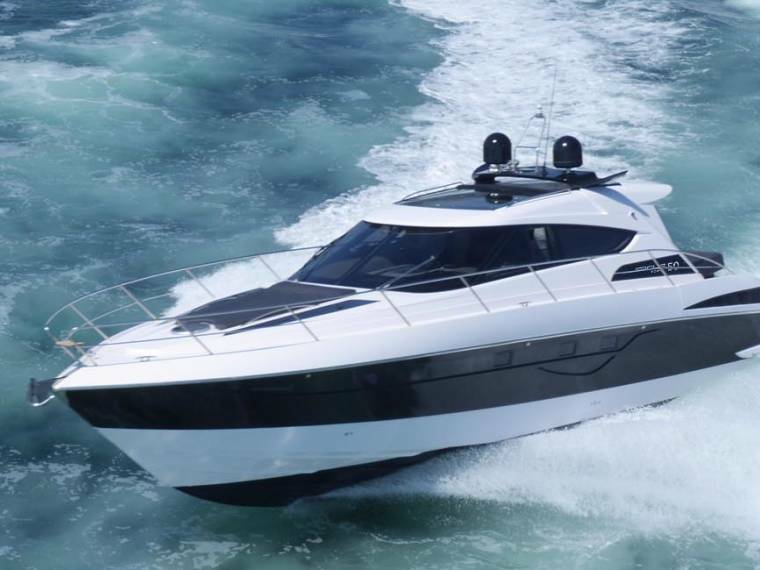 Designed as a long-range sports cruiser, the Power 50 is the pinnacle of the Focus hardtop range. Its innovative tempered glass retractable roof incorporates joy of the conventional open yacht feeling within the luxurious comfort of the living space onboard – all that at only the touch of a button. Its large powered lifting bathing platform serves as a stylish and yet practical feature that improves access to the sea and allows a jet RIB or a personal watercraft to be easily launched and recovered. An optional hydraulic telescopic passarelle discretely hidden inside the walkway makes stern-to berthing access a breeze. The deck saloon layout seamlessly connects the privacy and comfort of the interior with the exhilaration of outside living, offering plenty of dining, relaxing and sunbathing options. On the lower deck, modern satin maple wood finish with walnut detailing creates a bright, relaxing ambience available in a two or three cabin layout. The forward stateroom features a king-size bed and ensuite toilet and separate shower compartments. The full beam mid cabin welcomes guests with en-suite bathroom and plenty of storage. 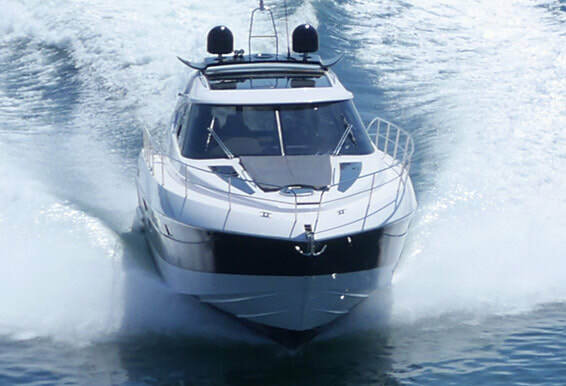 Between these two luxurious cabins owners can choose a third cabin or a discrete lower dinette area creating a seperate area to relax and entertain fitted with a flat panel television and high quality hifi. Focus Power 50 can accommodate guests in 2 or 3 cabins. The master and mid cabin have comfortable double beds and the optional third cabin has two single beds.